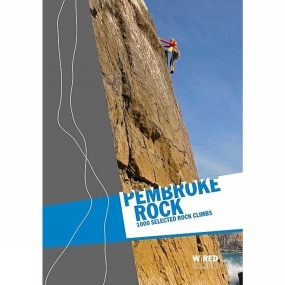 Pembroke Rock showcases over 1,050 climbs on the stunning cliffs of the South and North Pembrokeshire coasts. Produced by the definitive authority on Pembrokeshire guidebooks, Climbers' Club Guides, it is the second in the Wired series and the first Wired Guide to be published by The Climbers' Club.Every crag can be referenced from an area and a local map which together with the clear photo diagrams ensure that choosing, finding and following a route is easy. The inspirational combination of Climbers' Club Guides high quality, the striking Wired style and sensational action shots make this a truly breathtaking guide.The Climbers' Club produced the very first climbing guide to Lliwedd in 1909. The CC currently publishes 30 titles covering climbs in the South and South-West of England, Pembrokeshire, Avon and the Wye Valley and North Wales. Their team of volunteers are committed to extremely high standards of quality and accuracy, many would say that Climbers' Club Guides are the world's best.